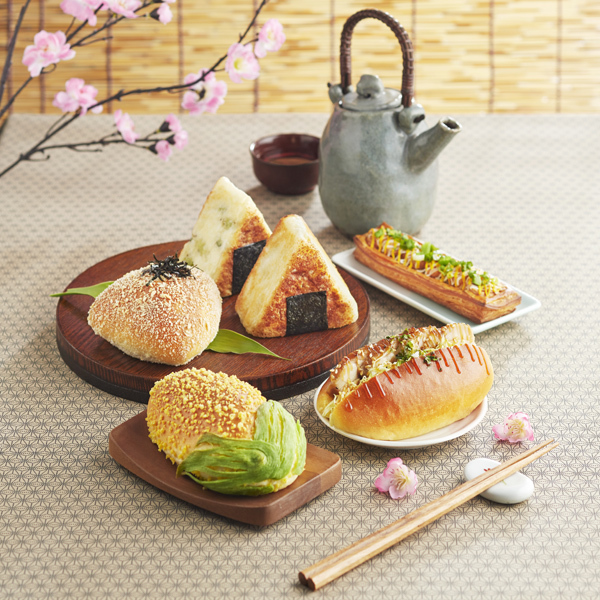 Influenced by the flavours of Japanese foods, we’ve created a line-up of 5 new Japanese-inspired buns to bring a taste of Japan to you! Say oishii~ to familiar flavours and ingredients like Japanese curry and edamame – found in our new creations Kare~Oishii and Edamame Chiizu. Those looking for savoury options can also opt for Konni’Chikuwa’ and Teriyaki Chicken Sandwich, while those craving for a sweet bun should not miss ‘Corn’banwa - filled with comforting Hokkaido-milk custard and sweet corn kernels. 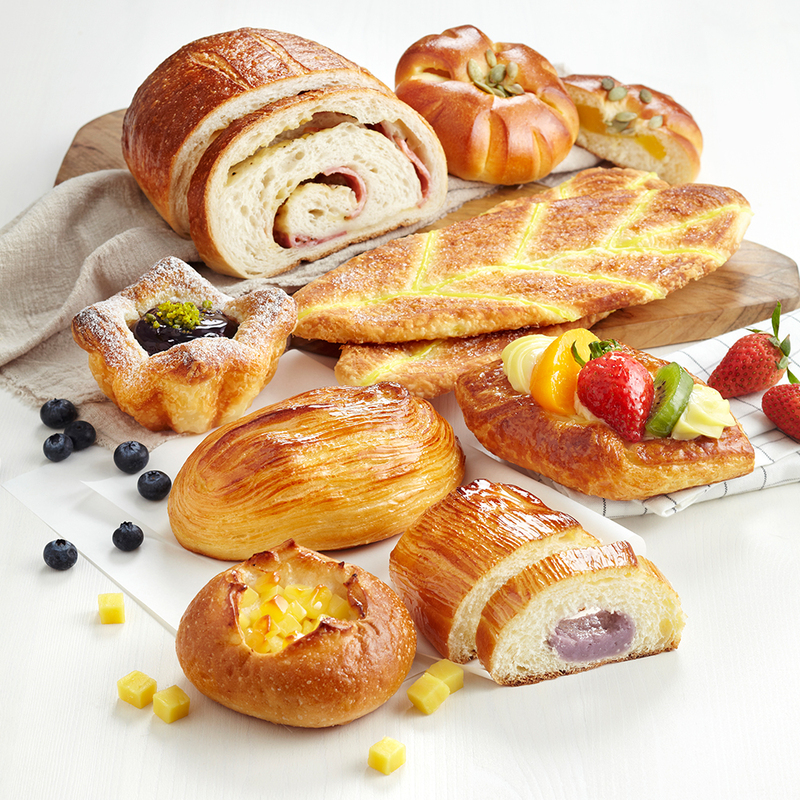 These buns will be available at all BreadTalk outlets from 11 March to 12 May and are priced from $1.80 to $2.40 each. Delight in a range of Sakura-inspired cakes beautifully designed and dressed in pink hues just like cherry blossoms. By popular demand, we’ve brought back Hai! Cheese which features irresistible layers of mascarpone cheese mousse and cottony soft Hokkaido milk cheesecake, and Sakura Snow Cheese. Receive a free 1-for-1 ramen voucher from So with purchase of Hai! Cheese (worth up to $13.90), while stocks last. 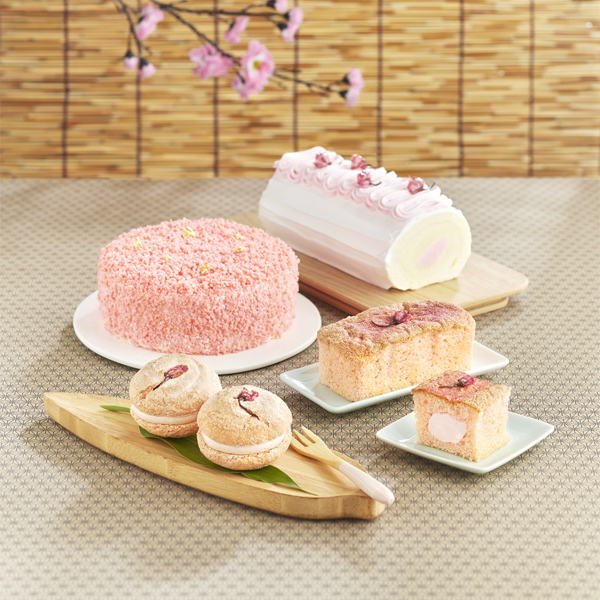 The delicate Sakura Cottony Cake and Fuwa Fuwa Sakura will send you to sakura-lined streets of Japan in just one bite! Enjoy any 2 Cottony Cakes for $3, or top-up $2.50 with any purchase for Fuwa Fuwa Sakura (U.P. $2.80). Be sure to also check out the new Salted Caramel Apple Dream cake and Genki Parmesan that are available in stores this season. Available at all BreadTalk outlets in Singapore except Singapore Cruise Centre and United Square. Hai! Cheese & Genki Parmesan are available from 11 March – 5 May, while stocks last. All other cakes will be available from 18 March – 12 May, while stocks last. Taste the Good Ol' Times! Do you miss the explosive flavours of bacon and melted cheese in our loaf, Crouching Tiger Hidden Bacon? What about the comforting taste of smooth yam filling in Only U? By popular demand, we have brought back some of our well-loved buns from the past! Take your pick from over 20 sweet and savoury options including Ode2Pumpkin - filled with tasty pumkin paste and sprinkled with pumpkin seeds, and Gold Mine - a fluffy bun encasing cubes of cheese that burst with flavour in every bite! Available now at all BreadTalk outlets island-wide. 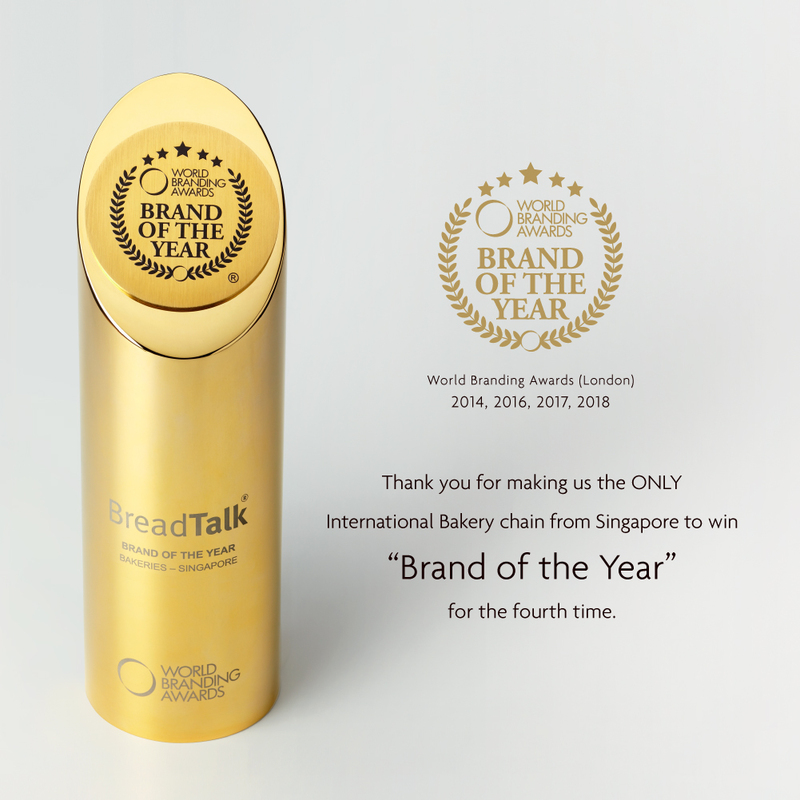 Thank you for making us the only International Bakery Chain from Singapore to win "Brand of the Year" for the fourth time. Thank you for your continual support, enjoy 20% off chilled cakes from 2 - 8 Nov 2018. Promotion is valid from 2 to 8 Nov 2018 only; while stocks last. Promotion is not applicable to Sliced Cakes, Milk Pudding, seasonal and promotional items. Promotion is not valid in conjunction with other promotions, discounts and privileges. Promotion is available in all BreadTalk outlets except United Square and Singapore Cruise Centre. ‘Erupting’ in the region, and now Singapore! 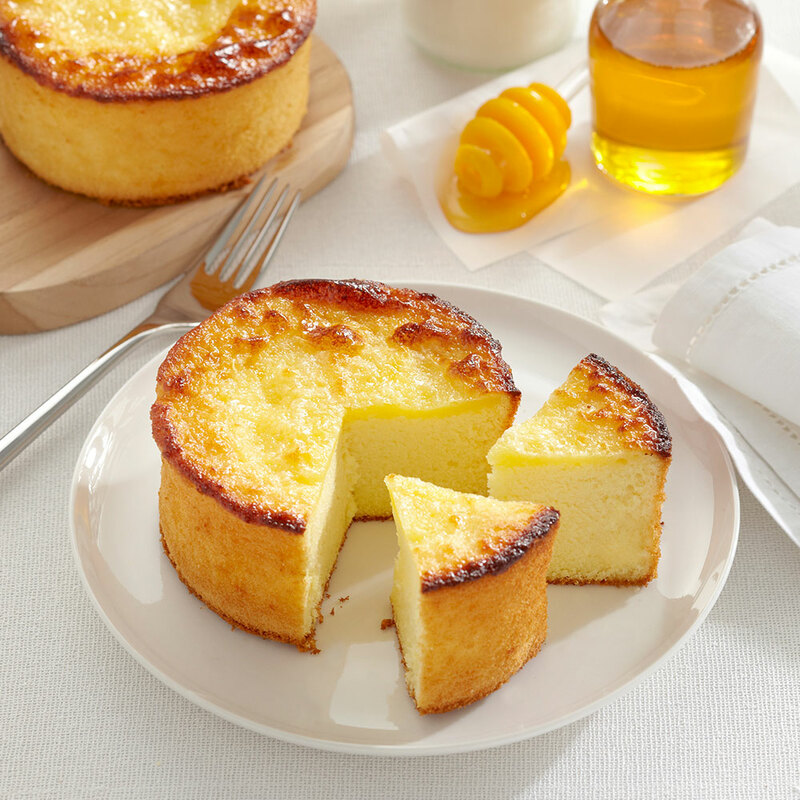 Journey to the centre of this volcanic-crater lookalike Crater Cheese Honey Cake and unearth the eruptive taste of caramelised cheese atop honey sponge cake. Made with specially concocted cheese sauce and twice-baked till caramelised, the savoury cheese cleverly harmonises with the sweet and moist honey cake , sending all foodies on a gastronomic voyage. Now available at a promotional price of $3.80/pc (U.P. $5/pc).